Projections done by Econsult Solutions. 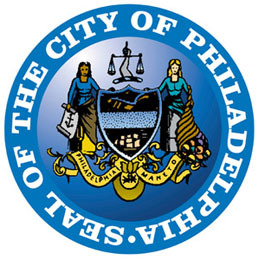 While 250+ cities throughout the world have World Heritage City status, Philadelphia is the first World Heritage City in the U.S.
As part of the campaign to add Philadelphia to the list of World Heritage Cities, the City of Brotherly Love has been touted more broadly as the birthplace of globally fundamental human ideas and transformative human accomplishments. In addition to Independence Hall’s status, 66 other Philadelphia buildings or ensembles are on the list of National Historic Landmarks – the highest American recognition. Increase tourism and business visitors. The qualitative benefits that come with a World Heritage status vary widely among World Heritage Cities and World Heritage Sites, depending on the attributes of the city or site, the characteristics of the local economy and the organizations and individuals involved. While the potential benefits are attractive, we also note that the costs associated with the designation, both direct and opportunity costs are likely to be virtually nil, meaning a positive net benefit to the City and region. To maximize these potential benefits, we have to educate the local hospitality industry, local politicians and regional citizens on the reasons for our selection and the importance of becoming and being seen as an international world heritage city. A direct result of this enhanced image would be expanded visitation – both tourists and business travelers – to Philadelphia. But all these advantages are very difficult to measure and forecast with precision, as 1) it will be difficult to isolate the effects of the WHC status from all other efforts on increasing tourism and how it plays with the many factors that contribute to a visitor’s spending decisions and 2) there is little quantitative evidence in existing literature about the impacts of the WHC designation on comparable cities. Most studies reviewed highlight the World Heritage Site status as a catalyst for more effective conservation, partnership working, civic pride, social capital, learning and education and additional funding and investment. Designation as a World Heritage City could bring an array of potential benefits for Philadelphia and its residents, and more specifically a promotional opportunity and a better visibility at the international level. WHC designation is for instance a remarkable resource for education and learning purposes with the potential for significant supporting programs. The World Heritage Status has been successfully used to teach engagement and increase knowledge and awareness of the City’s heritage and its conservation. However, the extent of the benefit will depend on whether the WHC status can be seamlessly and consistently integrated into learning activities across the entire Philadelphia demographics spectrum. As shown in our literature review, most designations seek to increase social inclusion and, as a result, social and community sustainability. Following a WH designation, the sense of place, community and collective opportunity may be strengthened, and education and awareness benefits are likely to be stronger. A WHC designation would have a positive impact on the image of the City, stronger among some groups than others. It would create an opportunity to bring more attention to Philadelphia and be a symbol of the regeneration underway and of the changing status of the City at the national and international levels. In addition, this status could boost local confidence and civic pride. A citizen online survey in Liverpool revealed that “overall, the WHS contributes significantly to people's sense of pride in the city”. The survey also revealed that the title of WHS helped improve the city's profile in the UK and internationally and raise public awareness of the city's historical significance. In the case of Philadelphia, however, the City is already well known domestically for its instrumental role in the American Revolution and as the founding place of the American democracy. The Independence National Historical Park is the most-visited venue in Greater Philadelphia, averaging 2.5 million guests per year, with 80% being from the U.S.
A WHC designation would also help make Philadelphia an international city supporting the many public and private efforts to increase Philadelphia’s international connections and image. It would help generate interest in Philadelphia by foreign companies looking for U.S. locations and increase the level of partnership with other World Heritage Cities and the access to additional public and private funding sources. We forecast a WHC designation could generate significant increases in both tourism and business travel to Philadelphia. It is well-known that tourism is a significant contributor to the local and state economy. According to Visit Philadelphia’s 2015 annual report, 39.7 million people visited Greater Philadelphia in 2014, producing a total economic impact of $10.4 billion, supporting 92,000 jobs, and generating $655 million in local and state taxes. More than 620,000 overseas visitors journeyed in the City in 2014, making Philadelphia the 13h most visited city in the US by international travelers. We believe the potential impact of WHC status would likely be stronger for international visitors than for domestic visitors because Americans already know the importance in the founding of our country of Philadelphia and its iconic Liberty Bell and Independence Hall. We assume that many foreigners, especially from other WHC, who value the WHC label, will make Philadelphia a destination when forming their international travel choices. 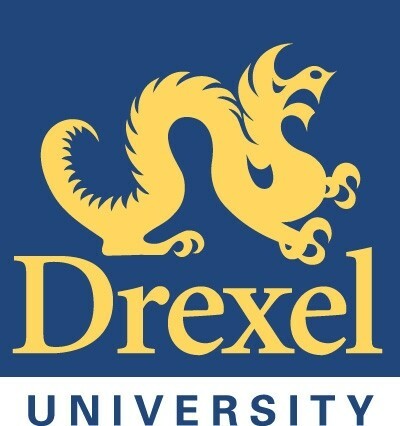 It is also reasonable to assume that the designation will cause international visitors traveling on the East Coast of the United States to more likely (1) stop in Philadelphia, (2) potentially extend their visits in the City and (3) have a higher probability of returning to visit Philadelphia in the future. We believe that if marketed properly, it is reasonable to assume that the designation could increase foreign visitation by 10-15% or 60,000 to 100,000 more visitors annually, from the current 600,000-800,000 base. It is important to understand that this influx of spending would be “net-new” in that it would not derive from shifting existing visitor expenditures. Based on our current estimates of international visitor spending and using a conservative industry multiplier of 2.1, this would generate approximately $150 million per year in expanded economic activity. The World Heritage effect could even be greater here than in other comparable WHC, given that Philadelphia, should it become a WHC, would be the first city in the United States to get this distinction, increasing its value and potential impact. We believe that, under very plausible and conservative assumptions about its potential impact on tourism, the World Heritage City designation could even generate increases in domestic visitors lead to significant economic and fiscal benefits to the City. As noted above, we think the WHC designation is less likely to influence domestic travel planning, but still it is very likely to have some positive heritage impact with certain groups, especially amongst cultural and heritage tourists. World Heritage Sites tend to attract cultural tourists who on average spend more and stay longer. Research into potential economic impact of World Heritage inscription in the state of Ohio found that cultural heritage tourists spend more ($994 compared to $611), stay an average of three days and are more apt to engage in leisure tourism compared to other visitors. We believe it is reasonable to expect, again with proper marketing, an increase of domestic visitation by 1-2% per year. Using Visit Philly annual base, we believe this could generate an additional $100-$200 million per year in economic impact. We also believe that effective marketing will be the key to generating the potential benefits of our WHC status and how it might be used effectively to change the visitor profile. The main purpose of the WHC group will be to actively educate and promote the WHC designation regionally and especially to the existing tourism and economic development organizations to add to their effectiveness. To maximize these potential benefits, the WHC status must fit within a larger effort to compete more efficiently for tourism and business travel in today’s world. It is only one small component (clearly positive) of the City of Philadelphia’s repositioning as an international attraction, spurred by public and private investment in marketing, and only one component of the City’s and region’s overall efforts to increase tourism. But, we have to work hard and judiciously to maximize these potential benefits. Considering that World Heritage status does not seem to automatically translate into increased visitation and economic gain, the increase in visitation might be extremely limited without targeted and sustained efforts from the host community. This is even more noticeable for established sites where the designation might have little effect on tourism trends. Thanks to this global accolade and the publicity it usually generates, an increase of visitation is generally observed, but, unless a dedicated marketing and branding strategy is created, this increase usually does not endure. The World Heritage status has to be appropriated as a tool for branding the city to an outside audience. The City should be encouraged to develop a cohesive branding that reflects the identity of the City and its WH status and to use the WH logo in supporting marketing activities in order to increase the benefits tourism can offer. In order to create significant and permanent positive benefits, the WH brand must be managed in synergy with other tourism marketing efforts, in a strategy to increase awareness in the Philadelphia Region of assets for tourists. Investment in the branding and promotion of the City as a WHC will be also instrumental to create awareness among the local public. As noted above, the WHC status should be used as a tool to foster community engagement and activity. This would maximize benefits, particularly in terms of civic pride, while creating a higher level of understanding of what WHC status represents. The WHC status is likely to generate net new economic and non-economic benefits to the public. It should not only have a positive impact on international and domestic tourist visits to the City and length of stay, but it is also unlikely that administering the WHC designation would impose significant opportunity costs to the City, especially if the management of this brand is ultimately passed on to existing local tourism organizations (which would also enable synergies among the various existing programs).